There are typically discounts available to senior citizen and small children. Find out by contacting your nearest pool in London. The best pools to swim are certainly indoor olympic pools. Are you a frequent swimmer? 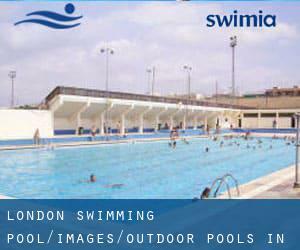 Do you visit the same Outdoor Pools in London? Please check that all of the details for your aquatic centre are right and get in touch with us in the event you find any mistake. Swimming is a sport for all ages. It assists young men and women to tone their muscles and grow healthy and strong. Please check the nearest Pools or Contact us to ADD IT. It is no cost! 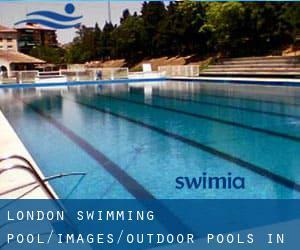 Thanks to some new Outdoor Pools in London submitted every day, Swimia.com is increasing everyday the number of stored pools. Please don't hesitate to contact us in the event you discover any inaccurate or incomplete info. London Fields Westside , Hackney , London - East , England , UNITED KINGDOM (Postal Code: E 8 3EU). This sports centre offers Olympic size x 17 meters, 8 lanes, 1 meters - 2 meters depth, 1 meters - 2 meters depth, Outdoors. For this Swimming Pool, only phone number is number here. East Acton Lane , Acton , London - West , England , UNITED KINGDOM (Postal Code: W 3 7HB). This sports centre delivers 25 meters x 11 meters, 6 lanes, Outdoors. Contact information and facts for this Pool similar to phone number and email address are number. 32 Endell St. , Bloomsbury , London - Central , England , UNITED KINGDOM (Postal Code: WC2H 9AG). This great and large sports centre lets professional swimmers like you enjoy 27.5 meters x 9.8 meters, 3 lanes, 0.9 meters - 3.5 meters depth, 0.9 meters - 3.5 meters depth, Outdoors. Additionally, within these facilities you can try 25 meters x 8 meters, 3 lanes, 1 meters - 2 meters depth, 1 meters - 2 meters depth, Indoors. Unfortunately we do not have the e-mail address of this Pool, but we can give you the phone number. Tooting Bec Road , Tooting , London - South , England , UNITED KINGDOM (Postal Code: SW16 1RU). Swimmers like you reported 91.5 meters x 33 meters, Outdoors. Unfortunately we do not have the e-mail address of this Pool, but we can give you the phone number. High St. , Hampton , London - West , England , UNITED KINGDOM (Postal Code: TW12 2ST). This sports centre delivers 36 meters x 14 meters, 6 lanes, Outdoors. Contact information for this Pool like phone number and e-mail address are number.